At the moment, as we do not yet have a membership site to download ebooks on agile issues for free you will need to let us know you're part of the community by providing your name and email address. Download all of our FREE ebooks, checklists, and more… in one go! That went well! Please check your email to confirm your subscription to our weekly ‘Food for Agile Thought’ newsletter and download all of our available publications, delivered to you in one convenient ZIP file! NOTE: If you do not receive the confirmation email within about 10 seconds, please also check the spam folder. Thank you! 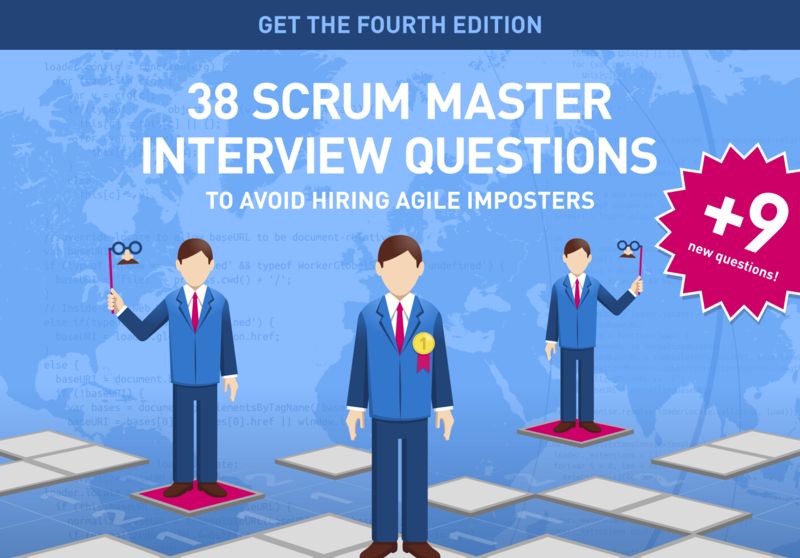 Read the original ‘Scrum 42 Product Owner Interview Questions’ post: Hiring: Scrum 42 Scrum Product Owner Interview Questions to Avoid Agile Imposters. Read the original ‘Scrum Master Salary Report’ post: The Scrum Master Salary Report 2017. Read the original series of blog post on scrum anti-patterns in our Agile Transition category. These are the 20 questions I prepared for a product backlog grooming session, half of which I actually asked. I would like to congratulate you on the results of your sharing such valuable and well tested information. I went through the handbook just for curiosity and being a Scrum Master myself could relate to the truthfulness in the compilation.